The FGC (Fighting Game Community) has been looking for a new flagship since the disappointing launch of Street Fighter V, and we may have it in Dragonball FighterZ (pronounced “Fighters”). The game is relevant, up to date with the Dragonball Super storyline, and has an absolutely incredible look. I will never get tired of the insanely awesome graphic that shows a new fighter flying in throwing an introductory right hook after the active fighter is downed. Dragonball FighterZ. Image copyright Bandai Namco. 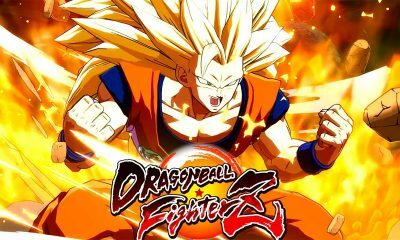 Most importantly, however, Dragonball FighterZ is the first AAA fighting game in YEARS to give us an almost perfect combat system – complete with new gameplay elements that are unique to the Dragonball series. Continuing the comparisons to Street Fighter V, it is quite important to note that on day one FighterZ came out as a full single player and multiplayer experience. Currently, there is talk of the game being promoted as a feature act on the pro fighting game circuit. Take notes, Capcom: you don’t have to rush a game and come out with a barebones day one farce just to get tournament support. How much Internet Speed do you need for Dragonball FighterZ? These were pretty good stats; actually a bit better than I usually get. With the silky smooth 60 fps and beautiful art of Dragonball in full effect with FighterZ, I can’t help but get excited about this experience. The action here will have you thinking you are in control of a Dragonball cartoon. It’s that good. The FighterZ team did an incredible job of condensing the overpowered nature of Dragonball characters into a workable control scheme. Somehow you don’t feel as though any character got “nerfed” for the sake of balance or gameplay. Special moves are incredibly simple to do, but Street Fighter purists can’t say too much, as you still need a great deal of skill to pull off some of the bigger combos in the game. The new mechanics are the star of this show. For example: instead of throws, you get the famous “infinite strike animation” when you come into throw range and execute successfully. Super dashes, sparking blasts, ki charges and vanishes are universal controls that don’t feel cheap, because if you are fast enough, you can counter them. The result is a game that matches the intense speed of the Dragonball series without losing any gameplay. First player story mode is surprisingly intriguing and complete (taking notes, Capcom?). You actually get a brand new story based around an entirely new character who is trying to, well, kill everyone else. This new force requires old enemies to become friends for their own survival. Without revealing too much about the three story arcs, just know that Android 21 is a force to be reckoned with. However, the real gem here is multiplayer. This is three on three action that runs flawlessly at 60 fps even during the most intense graphic sequences. Basically, Dragonball FighterZ is what Marvel vs. Capcom Infinite would have been with a development team that cared. The bottom line – Dragonball FighterZ is the new standard for 2.5D fighters.